No one had ever made Maria feel special. Never before had she been offered a gift with no strings attached. Yet here she was, enjoying a sumptuous banquet with the other women from her safehouse, being served and pampered without having to do anything in return. She hardly knew what to do with herself! At the next table, Anna knew exactly what to do: close her eyes, relax, and soak it all in. She didn’t get much opportunity to do that anymore. Most of her days and nights were spent nurturing others, breathing life into the wounded. In a world where she was always serving and rarely being served, this day of learning and refreshment had truly been a blessing. 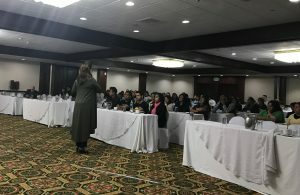 The conference held earlier that day had been invaluable, full of eye-opening insights and practical knowledge she could take back to the community center where she worked with at-risk families. As if that were not enough, the event was topped off by this lovely banquet, where, for once, she could rest, eat her fill, and enjoy being an honored guest. Maria and Anna were just two of the many faces at the Women of Hope Banquet, a highlight of Women At Risk, International’s recent Professional Circle Tour to Guatemala. 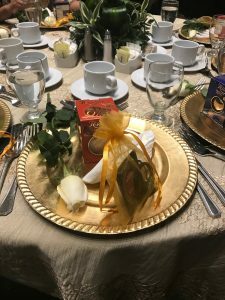 After hosting a productive day of training workshops, WAR, Int’l staff and volunteers were now pulling out all the stops to provide an enjoyable, relaxing evening for both conference attendees and women from their programs. Although the training conference may have been the “main event” of the tour, this opportunity to love, honor, and pour into these precious individuals was no less important or significant. attended by 154 staff members from twelve partnering programs in eigh t Latin American countries. The conference included several workshops, taught by professionals, on such diverse topics as writing business plans, interviewing trauma victims, and recognizing the effects of stress on children born to at-risk and rescued moms. Of the latter workshop, WAR, Int’l President Becky McDonald noted that it was “like watching 154 lightbulbs go on.” Yet just as important as the training was the encouragement our partners received, not only by listening to speakers but also by simply being there and enjoying time spent together with others who are doing the same kinds of work. Valuable relationships were formed as partners bonded over shared passions and experiences, formed networking connections, and began to establish rapport with one another. for two partnering organizations. In addition to supplying needed medications, WAR, Int’l and our partners brought in two doctors, a nurse, a dental hygienist, and a medical translator! Other Tour participants came along to the clinics to help with various tasks, play with kids, and share smiles and stories with those waiting to be seen by the doctors. Some patients brought smiles to our team, like the charming little boy with a Lego stuck in his ear. Others carried unspeakably tragic stories that evoked tears. These clinics were places to address not just physical scars but also emotional wounds, as our team engaged, listened, wept, and prayed. Joining in were local pastors who came to pray and lead worship in the waiting areas, lending a sweet “family” atmosphere to each clinic. where the team enjoyed touring the facilities and getting acquainted with staff. Team members also relished the opportunity to hold babies, oblige eager teenagers by posing for selfies, and best of all, serve up popsicles to excited and eager children of all ages. helping our partners to increase their sustainability. Like many of our partnering organizations, our Guatemalan partners rely on jewelry-making and sales to both sustain their work and provide vocational training for those in their care. In a hotel room and on a safehouse porch, WAR, Int’l staff and volunteers taught women new jewelry-making techniques and designs to help them improve their skills and grow their businesses. As our American team and Guatemalan partners pored over designs, sorted beads, and created samples, they chatted, laughed, and shared stories. In those moments, much more than beautiful jewelry was being created; bonds between hearts were formed as well. The Guatemala Circle Tour is a reflection of WAR, Int’l’s heart for the wounded and at-risk. We are not just concerned with projects and programs and products; our primary passion is for the people behind them. Of course, we are engaged in funding and training our partners around the world. But more than that, we seek to mentor, encourage, and support every life we engage. 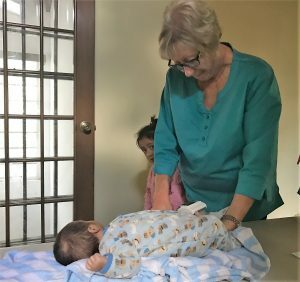 On the surface, the Guatemala trip was about training workshops, medical clinics, and practical help. Underneath, it was about coming alongside our hard-working partners and the men, women, and children they serve, to love on them and encourage their hearts and minds. This is what we do, and this is who we are. This is our calling. 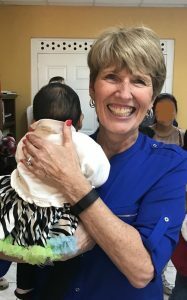 We invite all who believe in our mission to join with us in changing lives, uplifting hearts, and creating circles of protection around men, women, and children in Guatemala and across the globe.